Bearings belong to those components which influence the production process considerably and contribute significantly to its quality. In addition they are normally subject to strong loads. A high quality and availability of equipment can be achieved by preventive maintenance based on its actual condition. Through the opportunity of reconditioning (rework) of bearings this process can be realized considerably more cost-efficient compared to exchange of bearings. 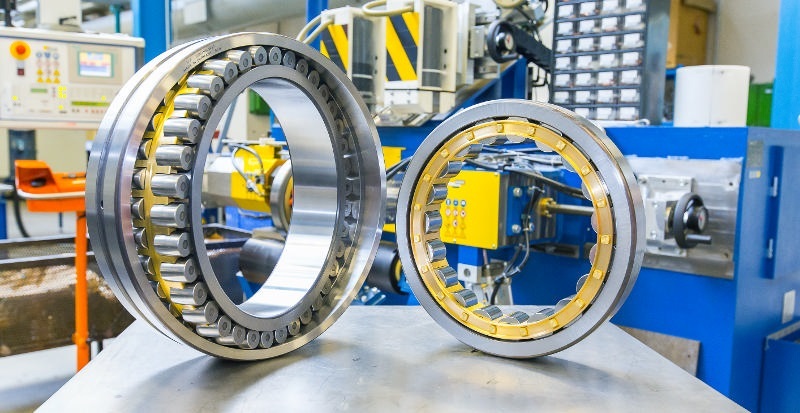 Reconditioning of bearings and bearing units can already be economic from an outer diameter of 180 mm. The costs of reconditioning account to approx. 50 to 85 % of the sales price. Please consider the larger a bearing is the more economic is its reconditioning. Usually the lead time for reconditioning is even shorter than for newly produced bearings. In addition to repair of our own bearings we are also able to repair bearings made by other manufacturers. Examination of bearings: The bearings are cleaned, disassembled, tested and visually checked. Existing damages will be evaluated by our specialists. Components that need to be reworked respectively newly produced are determined. Now the decision can be taken if the reconditioning of the bearings is impossible or uneconomic. Costs of reconditioning: Costs for work according to point 1 amount to 300,00 Euro per bearing resp. bearing unit. This amount will also be due in case no reconditioning will be made. If reconditioning is practicable based on examination, a relevant offer including costs for examination will be sent to the customer. Reworking / Reproduction: Usable components will be reworked e.g. reground, honed. Missing components will be newly produced according to technical demands. Inspection / Assembly: Before mounting all bearing components will be checked once more. The same is valid for the completed bearings. Documentation: Naturally all working processes are documented and can also be made available on request. In case of any further questions relating to reconditioning or detailed enquiries please contact our sales staff.